Over the next couple of years Disney Parks are seeing some serious updates and overhauls. While this extends greatly to international parks as well, for now we will be taking a quick overview of the updates and changes coming to US Disney Parks from 2016-2017 and beyond… ready ? Here.. we … go…! First let’s start our tour with Disneyland. The classic Autopia ride will be remodeled for their new Honda sponsor, with a sleeker more modern look for the cars and new branding, while the Captain EO show will exit to make room for the Star Wars: Oath of the Jedi show. Speaking of Star Wars, Big Thunder Ranch has already exited already along with surrounding land areas to make way for the new Star Wars Land which will house a space port, themed town with shops and dining and a ride that will put travelers into the pilot seat of the Millennium Falcon. 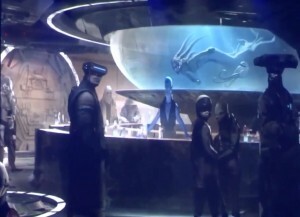 The current Jedi Training: Trials of the Temple will get a new look and theming. The current Innoventions building gets renamed The Tomorrowland Expo Center and will host the Star Wars Launch Bay themed area along with others coming in the future. Space Mountain gets a renaming and retheming as Hyperspace Mountain with am immersive Star Wars theme. 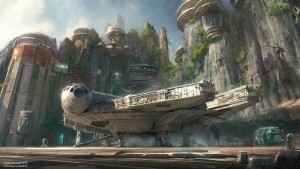 The Star Tours ride will be getting additional characters and scenarios based on the new Star Wars films and universe. There will be an upgrade to the current DL/CA Fastpass system, that will see guests using the Disneyland Mobile app (instead of the WDW Magicband)to make their Fastpass choices and reservations. The new system will allow for more flexibility in Fastpass selections and with additional rides added and a simpler FP system, should make guests much happier with the new setup. The current Paint the Night Parade will exit to make room for the classic Main Street Electrical Parade as it returns to DL. Speaking of parades, Mickey’s Halloween Party will be getting a parade update as the Frightfully Fun Parade takes over from the lackluster version of Boo to You. This update will enhance the one area missing from the current party when compared to the WDW version. Not to be outdone, California Adventure has decided to add a few updates and changes as well. 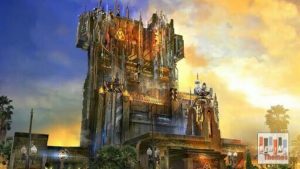 The Tower of Terror is slated to close for rebranding as Guardians of the Galaxy – Mission: BREAKOUT, with new theming of both the internal show and the building façade. The current version of World of Color will be reverted back to original show (no doubt per guest and fan request), while Soarin’ Over California gets an update and name change to Soarin’ Around the World, changing the locals from a simple California surrounding to a flight across the planet and visiting many locations. Lastly, Aladdin – The Musical has closed and made way for a Frozen Live at the Hyperion. Skipping across the country to stop at Walt Disney World we see an equally impressive amount of changes happening in almost every park. Hollywood Studios will be seeing a huge expansion, introducing not one but two lands (one new and one largely expanded). Not to let Disneyland out do it, HS is currently undergoing construction on their own much larger version of Star Wars Land, with an equally impressive and expansive themed world from the Star Wars Universe. The land is slated to have similar rides and attractions as its DL counterpart (see above) only on a grander scale. In additional the current Star Tours ride will get the previously mentioned updates for the new Star Wars characters and worlds. Pixar Place will get the expansion it deserves, taking a cue from its International counterparts and exploding into its own land dubbed Toy Story Land. This expansion will include an original designed Slinky Dog Coaster and everyone’s favorite Green Aliens will make an appearance in their own Alien Swirling Saucers ride. The current Toy Story Mania will also be receiving a third track to speed gusts along to “Break those plates” faster. With additional theming and character appearances this should be an excellent update to the now overly congested Pixar Place. All of these changes do mean that many areas and attractions have been closed permanently. This includes Phineas & Ferb, Mosnters Inc., and Lightning McQueen & Mater Meet and Greets, the Lights, Motors, Action! Extreme Stunt Show, Honey, I Shrunk the Kids Movie Set Adventure, the Studio Catering Co. Watto’s Grotto, High Octane Refreshments, New York News and Youse Guys Moychindise. Hopping the ferry over to EPCOT, we see a few updates and current happenings on both sides of the park. 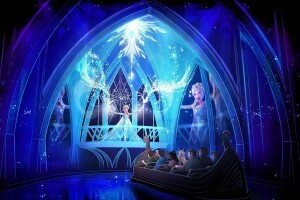 While the addition of Frozen Ever After to the Norway pavilion has left some guests concerned about the direction of the World Showcase, Disney seems quite happy to milk the IP all they can with thea addition to the Frozen world with a Meet and Greet added to the pavilion. Moving over towards “the land”, Soarin’ gets an update and name change to Soarin’ Around the World (see above for details). The bulk of Innoventions has been closing rapidly with nothing taking its place, leaving some to question what Disney has planned to put in its place as these attractions slowly disappear including The Sum of all Thrills and Test the Limits Labs. Hoping the Monorail over to Magic Kingdom, we see a couple of additions and changes happening. A new musical stage show titled Mickey’s Royal Friendship Faire will be opening on the Cinderella’s Castle Stage featuring new show numbers and characters. The Jungle Navigation Co Ltd. Skippers Canteen has opened as a new eatery and is doing well so far in Adventureland. On Main Street USA, The Muppets Present Great Moments in American History will debut as Sam the Eagle and company take us through historical tales outside of the Hall of Presidents. With the Main Street Electrical Parade moving to DL (see above), rumors of a new parade have floated by but nothing concrete from Disney has been released yet. Stay Tuned. From here we step out front of the park and hop a bus all the way over to Animal Kingdom to check out a few new additions and a new land scheduled to open soon. 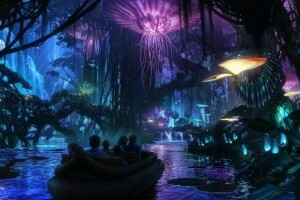 Say what you will about the movies, and the location Disney has chosen to showcase it in, there is no questioning how awesome Avatarland is going to be. If the art, construction images and details released are to be believed, this land would be incredible even without the original James Cameron driven IP. Guests can expect a bioluminescent walkway and paths, and boat rides, as well as immersive theming and the chance to take flight on a Banshee. This should be Imagineering at its best and even non-fans of the film should find it immersive and engaging. As the park hours expand into the evening, new shows and extended attractions have been added. Currently guests can enjoy an evening version of a popular attraction on the Sunset Kilimanjaro Tours. After they have had enough animal watching, they can head over to their nearest Tree of Life viewing area and watch the Tree of Life Awakenings night-time show. There are many more additions to come and Disney is leaking new items every day. As always we will keep you updated as things progress and are hopeful for our next big trip to the worlds in 2017. See yah there pals!